In this list of themed bars in Minsk you can get not only a drink, but also an interesting story! What would you like more: a trip to Mexico, finding yourself in a movie or dining in a Soviet restaurant? Checkout the places below and decide! 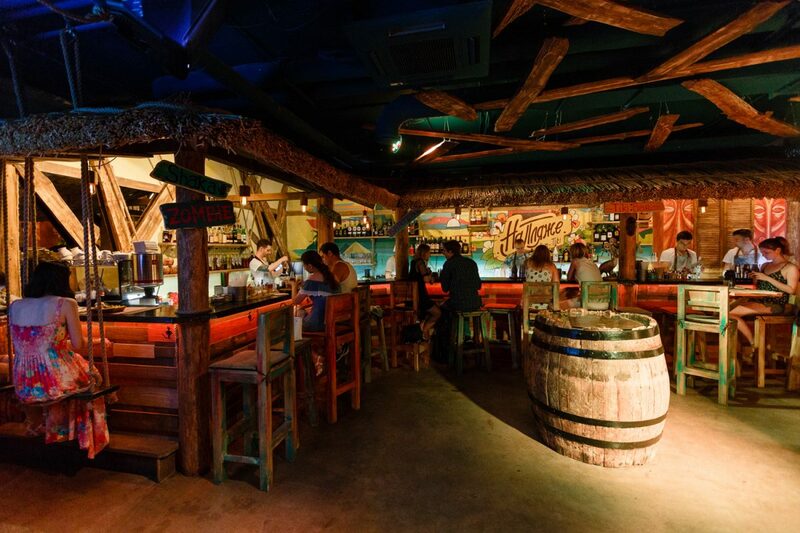 This is a tiki bar in Minsk with a fun beach atmosphere! Sit on a swingchair at the bar, get yourself a delicious cocktail and enjoy the amazing Caribbean-style parties every weekend! El Pushka bar has a real Latin feel and boasts of its atmosphere and a good choice of spirits. To get the party started we recommend the pure agave tequila cocktail or a shot of mescal. 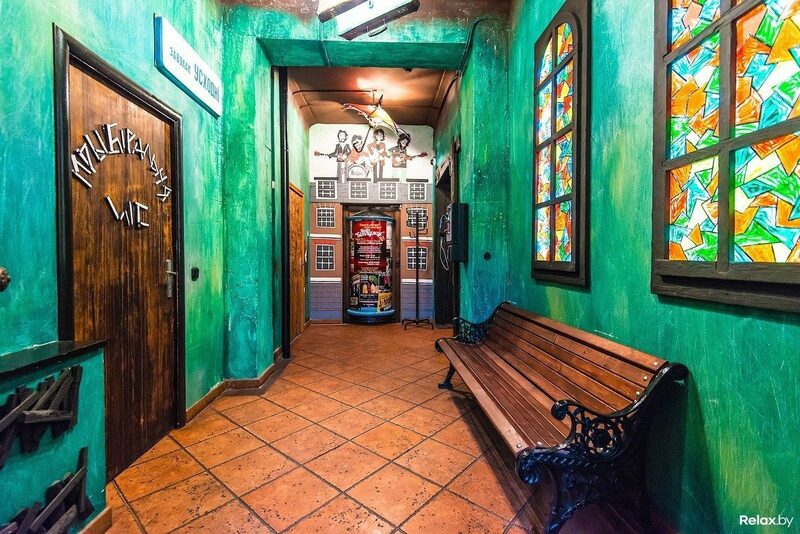 This one of themed bars in Minsk is tiny so it’s often full of people, but definitely worthy of your presence! A small piece of Bavaria in Minsk! 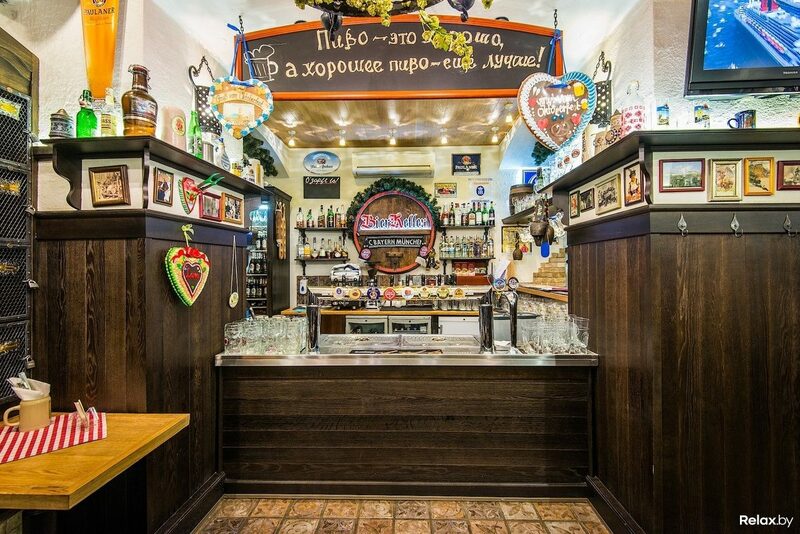 The place offers several kinds of German and Czech beers and a variety of pork dishes (famous Bavarian sausages, schnitzel, etc.) among other things. And, of course, all their delicious food is brought to you by beautiful girls in traditional Bavarian dresses! Prost! Remember the movie The Grand Budapest Hotel? Well, this themed bar in Minsk is fully inspired by it! Its stylish interior consists of contrasting elegance and rustic vintage decorations. The place has a good choice of vegetarian food and a great list of different alcoholic and non-alcoholic drinks, especially cocktails. It is quite hidden, so if you don’t know anyone who will take you there, try and find the correct arch at building №13 and turn there. For all fans of Sir Arthur Conan Doyle (or at least of Benedict Cumberbatch)! This cosy place will make you feel like you just stepped into 221B Baker Street, the home of the great literary detective Sherlock Holmes. In the coffee shop you will see the names of notable actors who played Sherlock along with pictures of the character. 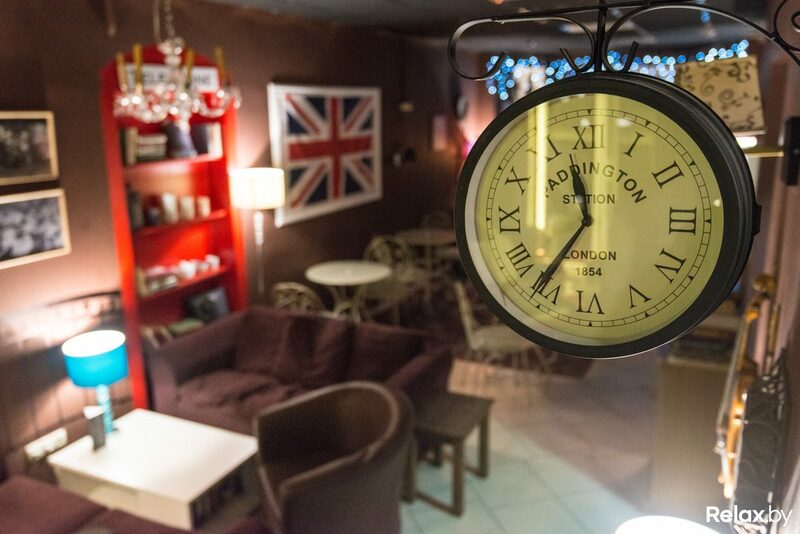 Come here for a ‘five o’clock’ tea or coffee between 16:45 and 17:15 and pay 50% less! Get a real Soviet experience here! Regular people in USSR couldn’t really afford to eat in restaurants, so this kind of place would have mostly been visited by intelligentsia. Its lavish ceremonial interior décor takes you back to another era and time, which only a few got to experience. Try out there popular Soviet salad ‘Olivie’, and don’t forget to take in the atmosphere. Enjoy jazz and rock-n-roll music here in a very warm and creative atmosphere. This one of themed bars in Minsk offers a big menu and interesting interior with street art on the walls, pin-up pictures and vintage elements. Go back in time by choosing your favourite classic record and let the jukebox do the rest. If you are looking for more themed experience, check out our thematic travel tours.